Amazing AAA cognac quartz briolettes (12x8mm) are topped with royal blue kyanite rondelles and purplish red garnets. 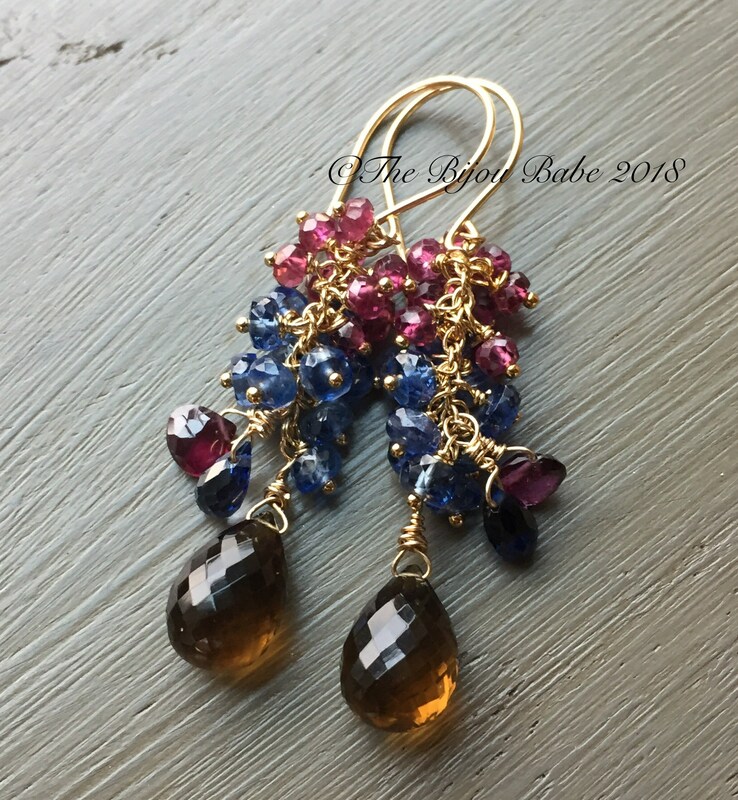 As a fun little accent, a single rhodolite garnet briolette dangles asymmetrically on one side, and a blue quartz teardrop on the other. 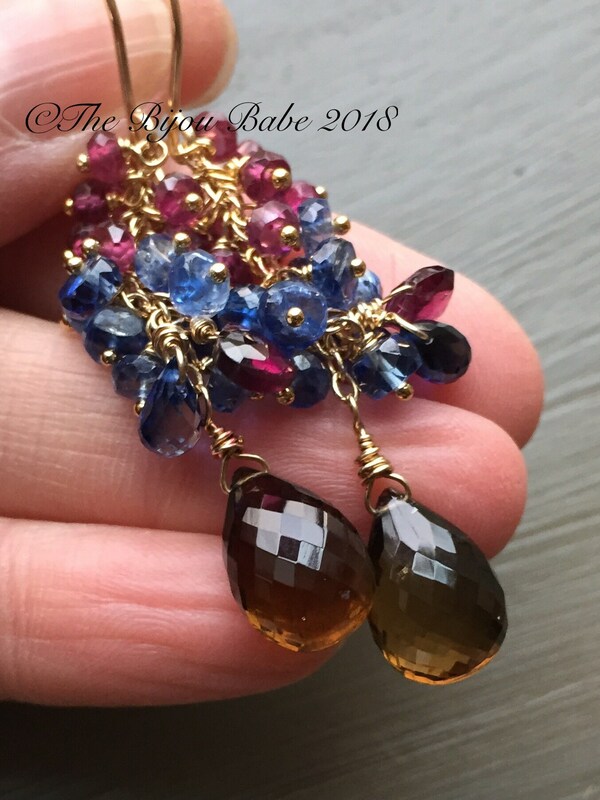 Kyanite is a gorgeous shade of royal blue, and looks so regal when paired with the rich color of the garnets and the honey warmth of the cognac quartz. These earrings are delicate and one of a kind! Total measurements are 2 1/8" from hand made gold filled ear wires. All metal used is 14kt gold filled. Your earrings will ship USPS Priority Mail in the US with tracking, and will be packaged in a lovely gift box tied with ribbon. International clients, please contact me for upgraded shipping services that include tracking and insurance. 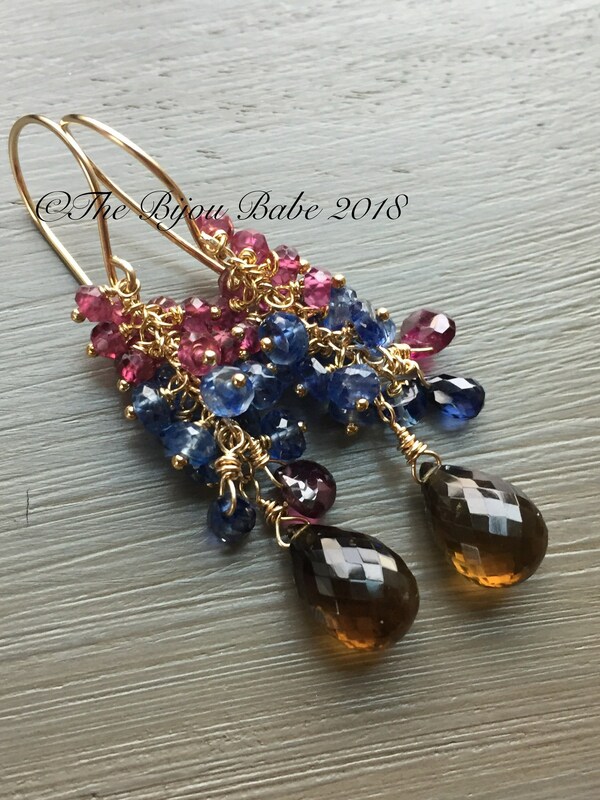 Please visit my website, www.thebijoubabe.com for more earring designs, as well as other jewelry!